Eco Snow Removal is 100% focused on snow and ice management, 365 days per year! When they’re not servicing your property, they’re maintaining their state-of-the-art equipment, staying on top of the latest best practices, and working to bring you the most excellent service possible. Eco Snow Removal Owner, Martyn Church, is considered by SIMA, the National Snow and Ice Management Association, to be an expert in the industry. Martyn recognizes the importance of reliable, top-notch service, and is committed to maintaining the highest level of knowledge and training for himself and his team of “Snow Fighters.” Martyn and his team are on the featured cover story in December's SIMA's Snow Business magazine. 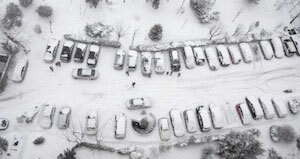 Receive a customized Snow Management proposal by a Certified Snow Professional. Competitive, honest, with unparalleled standards. *We are currently not accepting any residential requests. Thank you for your continued patronage. There's nothing worse than coming home from a hard day's work and having to clear your driveway and sidewalk, so don't! Eco Snow Removal provides a service you can rely on, giving you peace of mind, meeting your snow removal needs. Safety is the number one concern for commercial property owners. Let Eco Snow Removal help ease those concerns by providing you with a site specific plan. 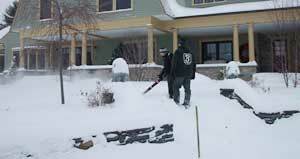 We'll address your snow and ice management needs, minimizing risk for your residents, staff and patrons.